Funeral services for Calvin Ray White, age 91, of Sulphur Springs will be conducted at 10:00 a.m., Monday, September 24, 2018 at West Oaks Funeral Home Chapel with Rev. Tom Friday and Rev. Fred Lewis officiating. Interment will follow at Weaver Cemetery with Charles Northcutt, Graham Northcutt, Billy Gene Davison, Jacob Bustos, Ken White, and Chad Lumley serving as pallbearers. Visitation will be from 6:00 to 8:00 p.m., Sunday, September 23, 2018 at West Oaks Funeral Home. 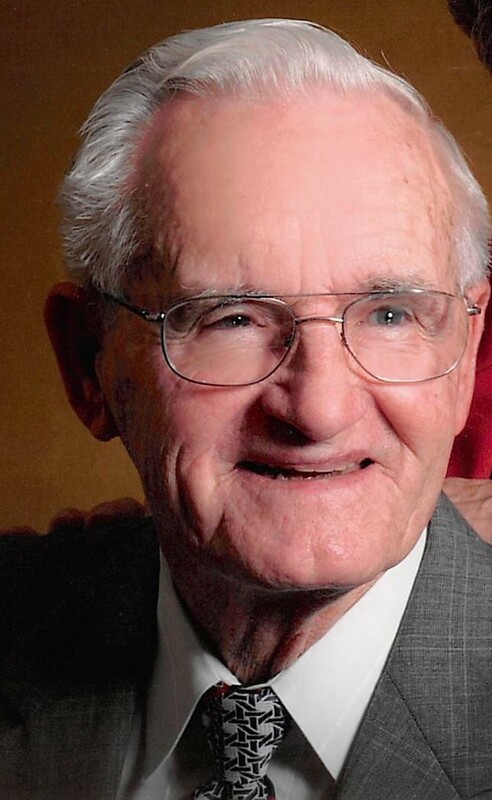 Mr. White passed away on Friday, September 21, 2018 at Carriage House Manor. Mr. White was born on February 3, 1927 in Weaver, TX, the son of William Hubert White and Neva Irene Payne White. He married Doris Lynn McGlathery on March 11, 1955 in Ft. Worth, TX. She survives. Mr. White and his wife were in the dairy business for 16 years and then raised stocker cows. He was a longtime member and Deacon at Weaver Baptist Church before joining First Baptist Church in Sulphur Springs. In addition to his wife Doris, he is survived by one son, Lanny White of Commerce, two daughters, Vickie Longino and husband James and Karen Northcutt and husband Eddie all of Sulphur Springs, grandchildren, Charles Wright Northcutt IV and wife Leslie, Lauren Jacobs and husband Chris, Graham Marshall Ray Northcutt and wife Leann, Liz Bustos and husband Jacob and Anna Lynn Lumley and husband Chad, great-grandchildren, Heidi Ann Northcutt and Kayden Sean Bustos. He was preceded in death by his parents and one brother, Kenneth White. Memorials may be made to Gideon’s International at www.gideons.org or Weaver Cemetery Association, 522 CR 3532, Saltillo, TX 75478.